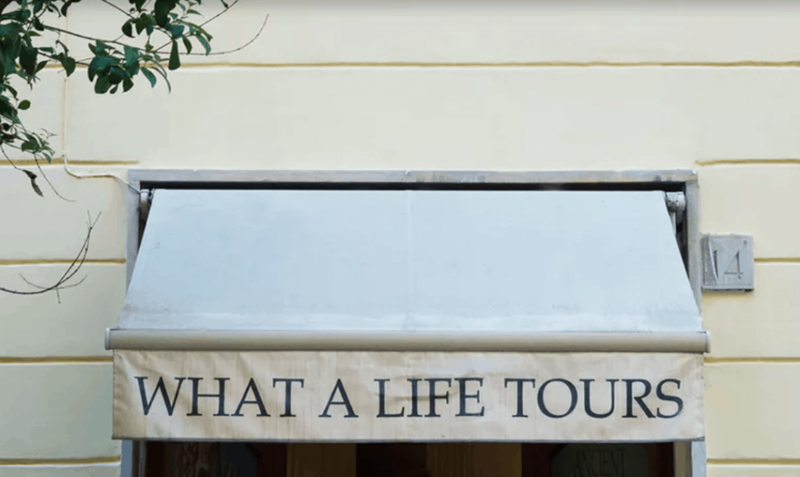 My What a Life Tours review is simple: they are a trustworthy, top quality tour operator. I am so impressed by their professionalism, friendliness, and the caliber of the tours they offer. This is a company I have no qualms in highly recommending! 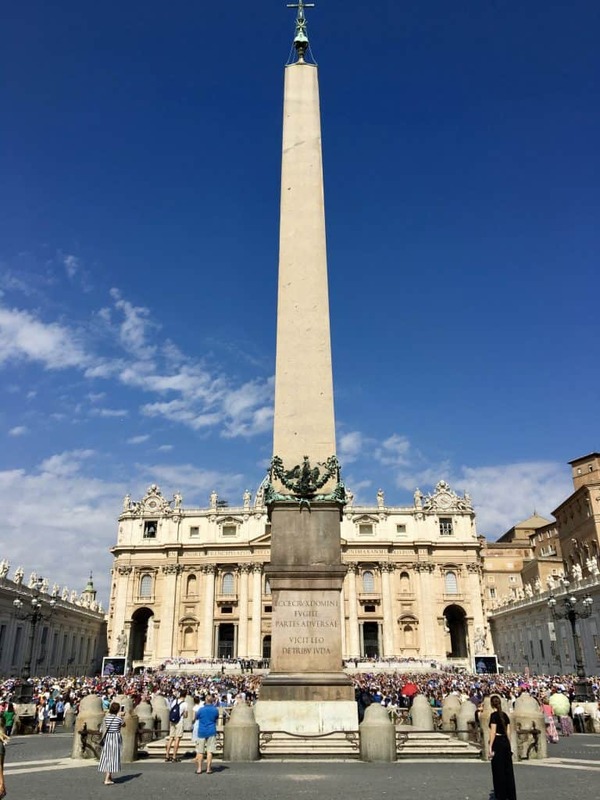 I don’t know if you recall me writing about how many times I’ve gone to Rome, yet I have never managed to see the Sistine Chapel or visit the Vatican Museums? 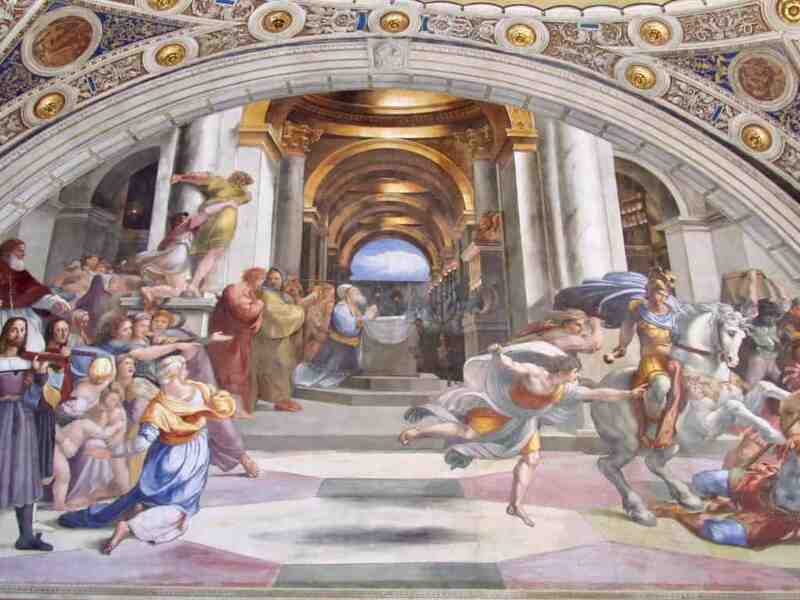 I’ve actually given friends and relatives tours of Rome’s monuments, but never had time for the Sistine Chapel. 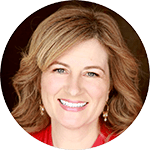 My mother and I were hosted as guests of What a Life Tours in exchange for a review. No terms were given regarding the review, and as always, all opinions are my own. 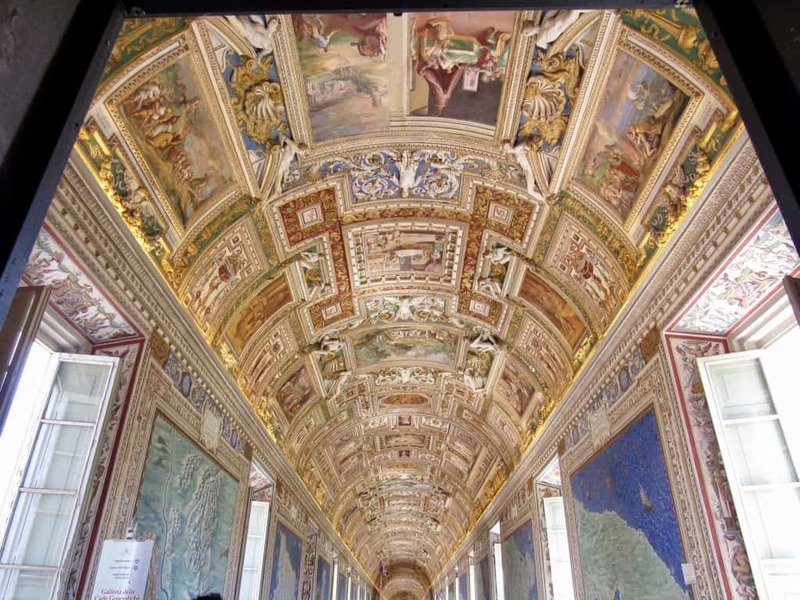 I’d attempted to go to see the Sistine Chapel twice. 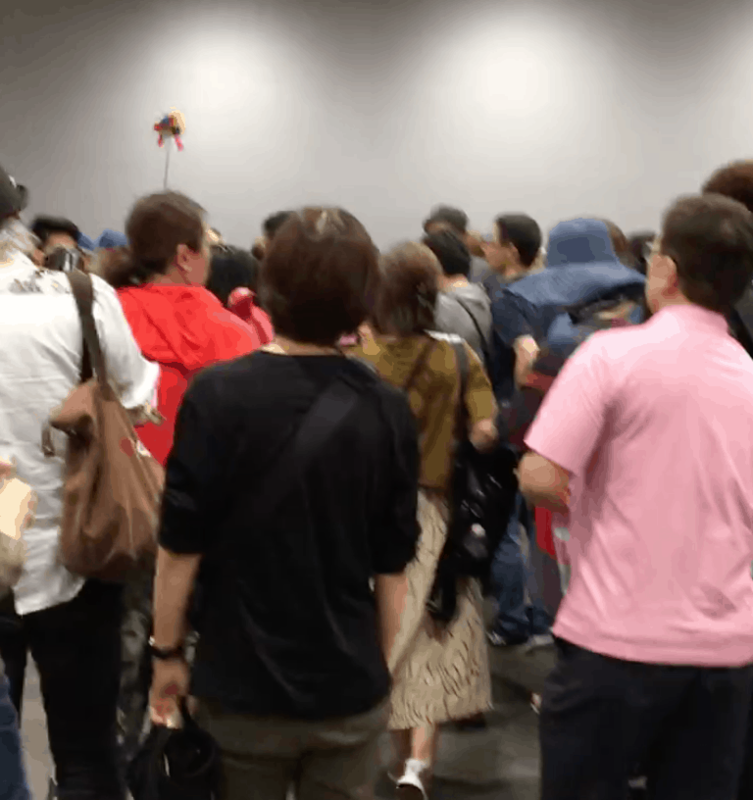 My family and I stood in line in the rain for almost an hour before I went to investigate the length of that queue. Horrors! We were about eight wide and the line wrapped around about three street corners! We left realizing that we would probably not even make it to the entrance before closing time. Even if we did, we’d have to rush through the museums and chapel with hundreds of other tourists. Ugh. 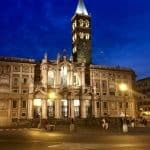 I finally realized that I needed professional help (don’t take that the wrong way 😜) and so I contacted What a Life Tours in Rome. 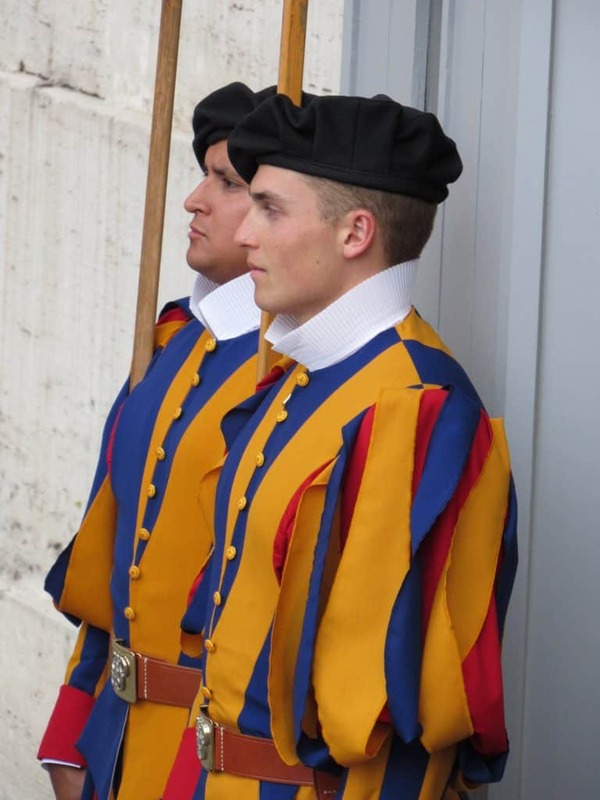 When we were arranging a date, it just so happened that the day we would visit the Vatican was a Wednesday. So Pippa emailed me to ask if I’d like tickets for the Papal Audience that morning. 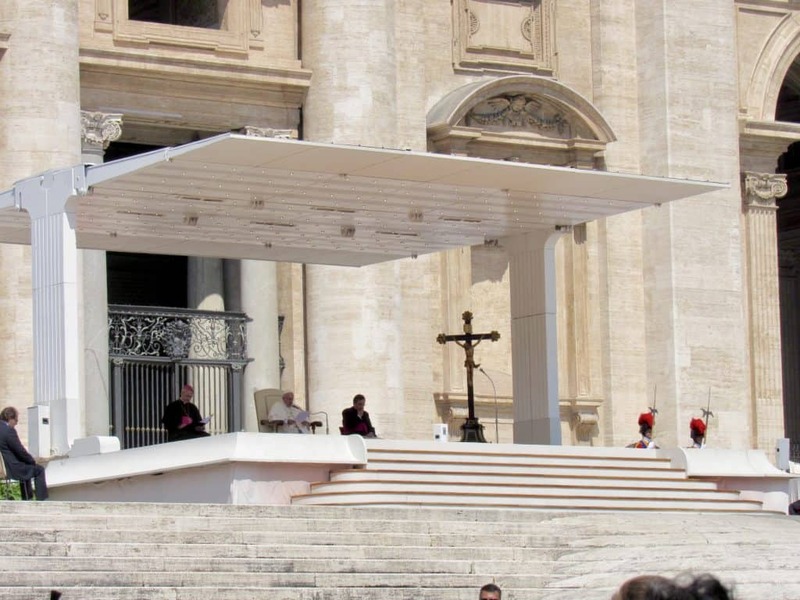 If the pope is in town, he holds an audience in front of St Peter’s each Wednesday. Let me back up for a minute to explain that my views on tours and tour guides has changed significantly in the past two years. If you feel like tours are not “your thing”, I’m betting it’s because you haven’t experienced a quality guided tour. Since I was a teenager, I used to see massive groups of tourists in larger cities following a guide with a flag, or umbrella, and think, “Ugh! That is definitely not for me.” Well, it’s still not for me. However, since taking my first AmaWaterways river cruise two years ago, I’ve completely changed my mind on tours. The Keukenhof Garden and me with our wonderful tour guide. The difference is which tour and tour guide you take. Just as I might say that I don’t like a soft, mushy and tasteless apple, it doesn’t mean all apples are bad. That was my mistake. The AmaWaterways tours and guides were all absolutely top-notch and changed my way of thinking about guided tours! Mum and I learned so much more than we could ever have imagined when we toured cities and attractions. In fact, if it wasn’t for the wonderful tour guides, we never would have appreciated the many places that we visited, as much as we did. We also noticed that the size of the competitors’ tours from other cruise ships were significantly larger than our small groups. 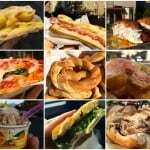 The same applies to the most recent tours we had with Food Valley Tours in Emilia Romagna. Georgia and Daniela. As well as Marta from Castlexperience Tours in Barcelona. 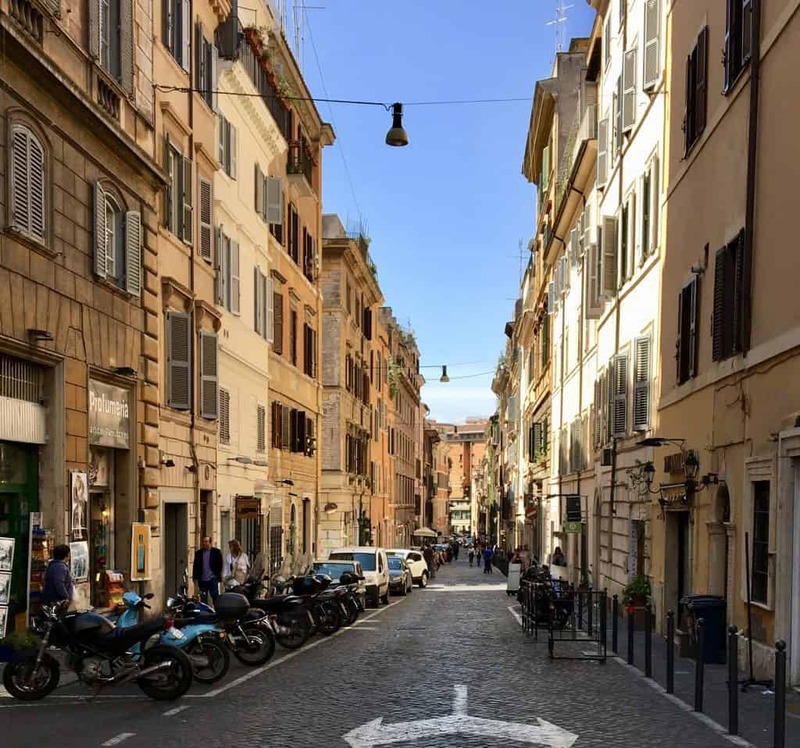 A street in Rome near our hotel. 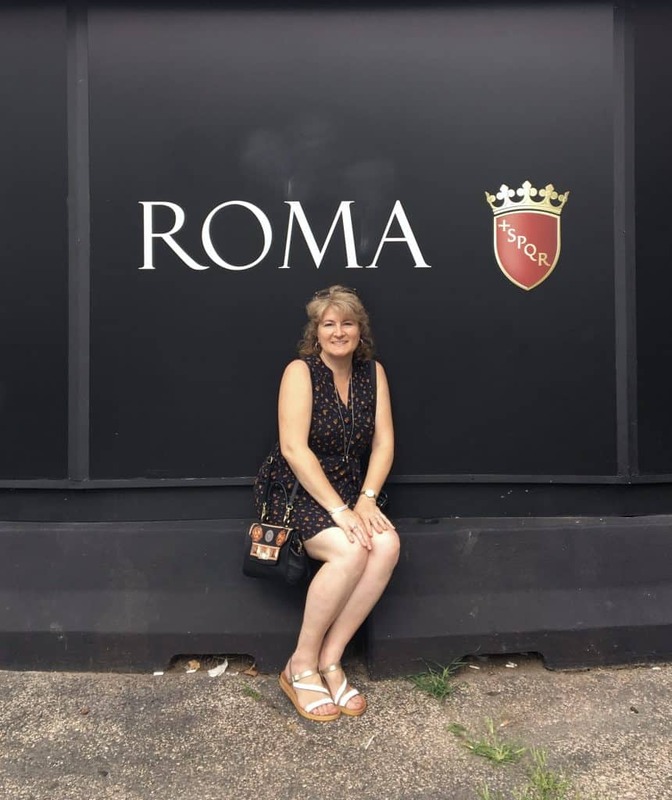 Mum and I were staying at The Britannia Hotel near the Termini Station which meant we had to take the Metro to get over to the Vatican area. It was only a 15 minute ride, but as I often do in London, I don’t give myself enough extra time. We left from the Repubblica Metro station, and got off at Ottaviano. 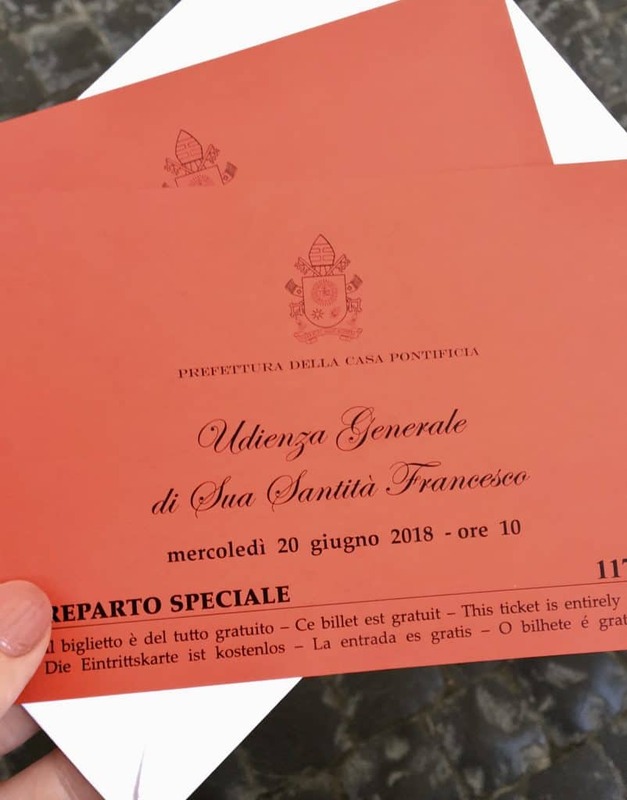 From there, it was only a five minute walk to What a Life Tours to pick up our Papal Audience tickets. Once there, we met the lovely Pippa, who had been my email contact beforehand in arranging the tour. 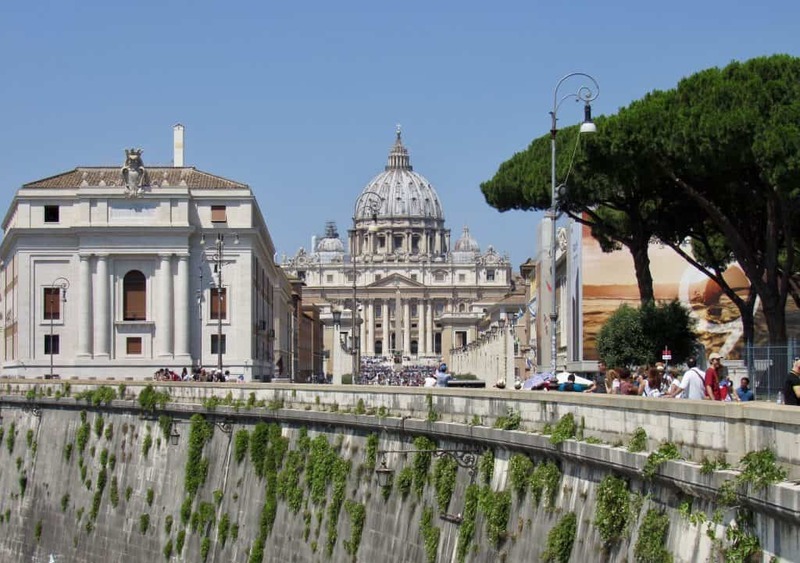 It’s only a 2 minute walk to the Vatican Museums entrance, however it was 10 minutes to St. Peter’s. We finally arrived at St. Peter’s Square at about 9:40 am only to realize that security had closed off access for us to get to our seats. This is because Pope Francis was already being driven around the crowds! 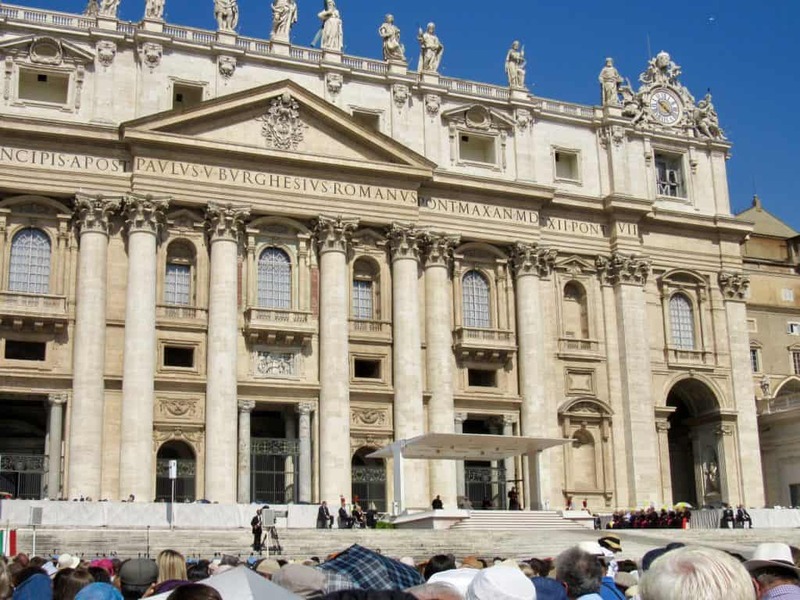 (The Papal Audience begins at 10 am each Wednesday.) We kept hearing cheers ring out, but couldn’t see the Pope. Mum and I just didn’t know where to go to get a view of Pope Francis. The cheering kept getting closer, until all of a sudden, Pope Francis stopped right in front of us! Now I have to show off my photos and video. It was an awesome experience to see him up close and in person! Mum was ecstatic and I was happy that she was able to see him, too. He greeted lots of people in the crowd and of course, kissed the babies! Once he went past, the guards opened the area up to visitors again and we were then able to go to our seating area. So in the end, we didn’t miss a thing, but if you go, do plan to arrive by 9 am. You can get a better seat the earlier you arrive, also. 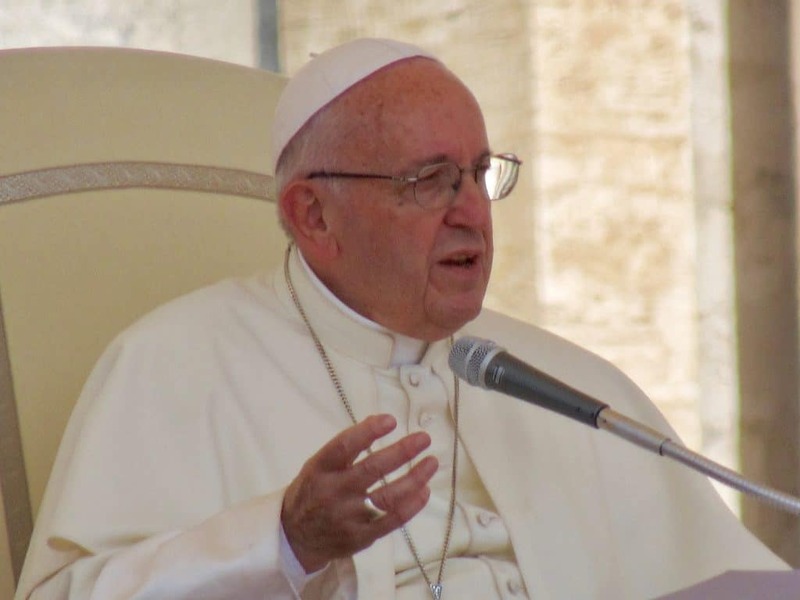 During the audience, the Pope spoke, as did others, in many different languages, including English. 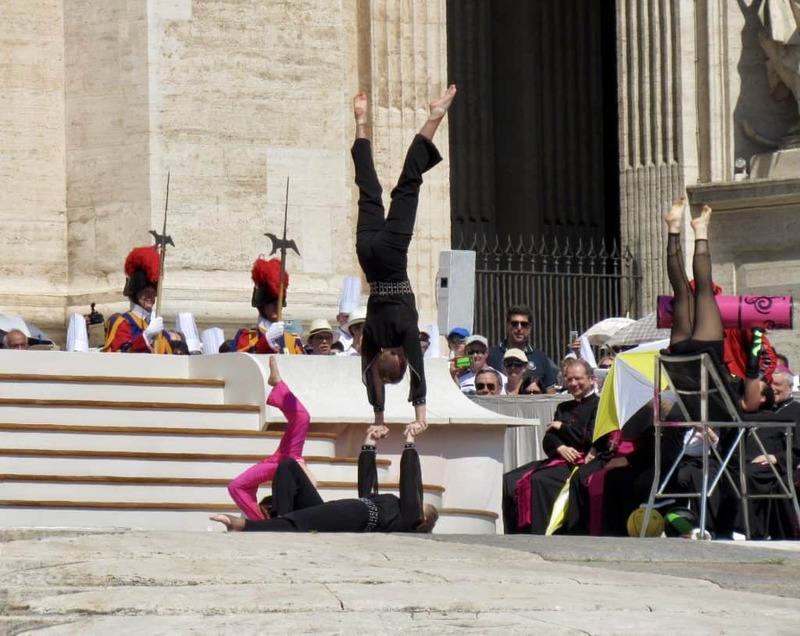 The most surprising part was that circus performers were there to perform for the Pope! After the Papal Audience, we had over two hours before our What a Life Tours tour of the Sistine Chapel etc. the perfect amount of time for a lovely lunch! 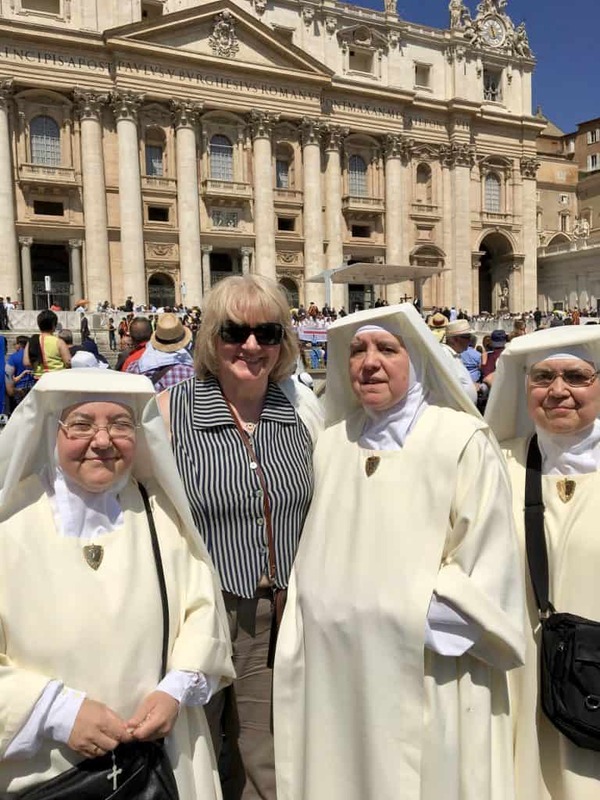 But not before Mum had her photo taken with some nuns. She loves nuns! I asked two security guards where they would recommend for two ladies who want authentic Italian/Roman cuisine. We were directed to go across the Tiber River to an area nearby which apparently had less “touristy” cuisine. 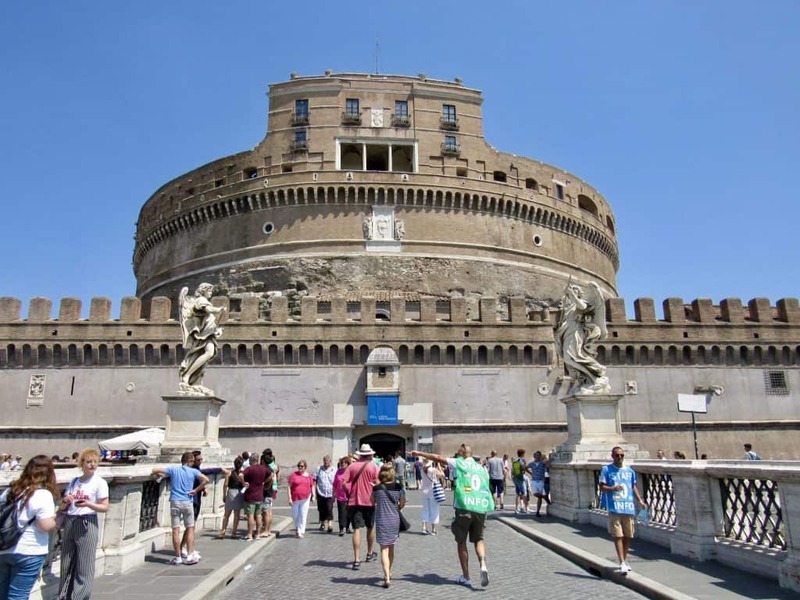 We walked by Castel Sant’Angelo and then started our hunt. After walking around the area for about 20 minutes, we hit the jackpot. 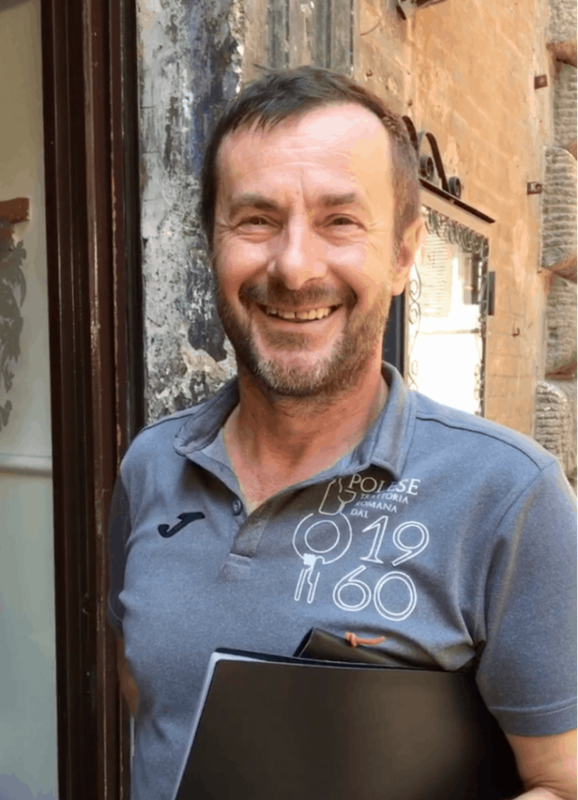 Hidden away off one of the main streets, we found Antica Trattoria Polese. We only looked at the menu briefly, and were convinced to sit down after being enticed by the owner (or manager) who said his name was Billy! He was very engaging and funny! Not to mention there were many things on the menu that sounded fantastic. 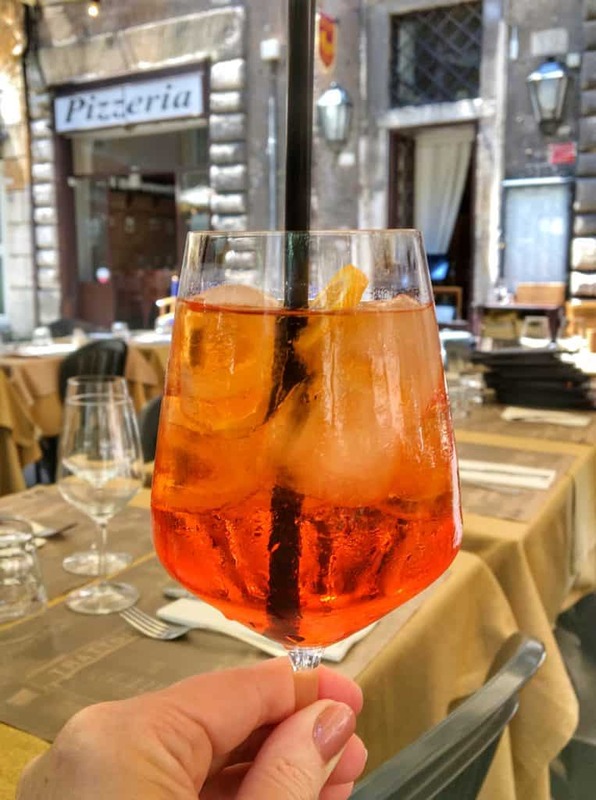 I took advantage of an opportunity to have an Aperol Spritz, and then we ordered. We decided to go with two different pastas and share both of them. 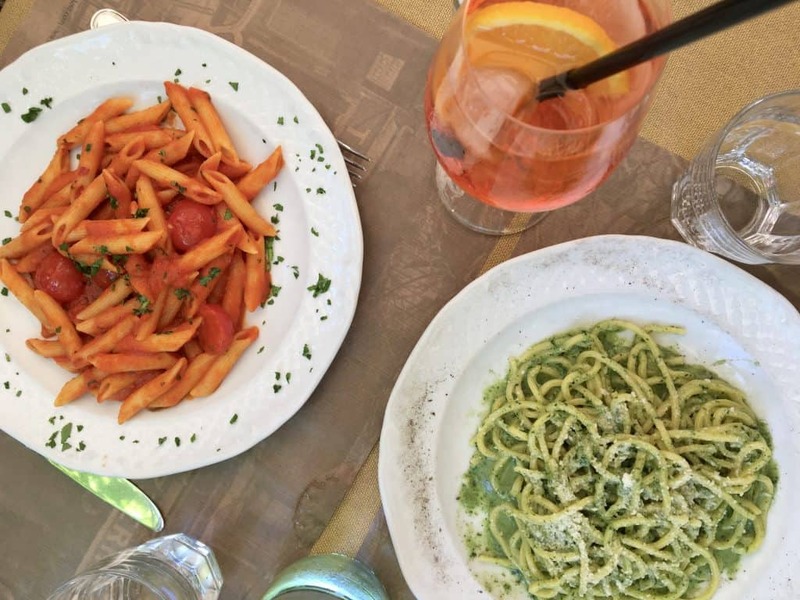 Our choices were penne all’arrabiata and tonnarelli cacio, pepe e cicoria. Tonnarelli is like spaghetti alla chitarra, and the sauce was made with cheese, pepper and chicory. It was absolutely phenomenal and I’m going to have a recipe coming up soon! 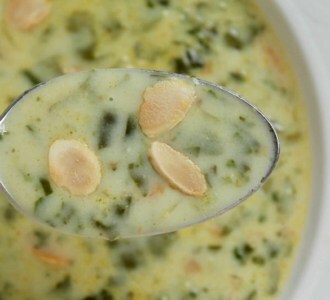 Both dishes were marvelous; we were completely satisfied and very happy! 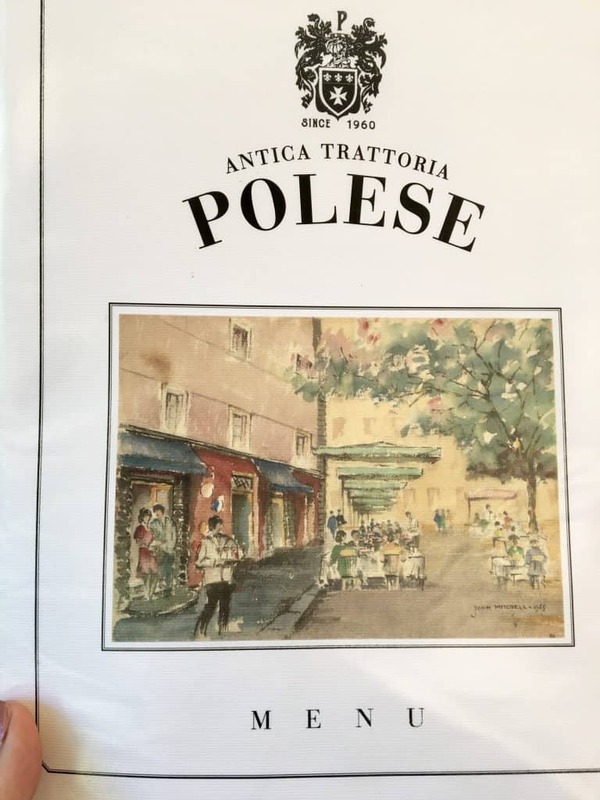 We had such a wonderful lunch here, I totally recommend Antica Trattoria Polese and I honestly can’t wait to return. Mum and I had a leisurely walk back to What a Life Tours for our afternoon guided tour. To give you my What a Life Tours review, I’ll share some photos and describe the main parts of the tour, but understand that we saw so much more than I could ever relate. There were also places where photo taking is prohibited (unfortunately, the Sistine Chapel is one of them). At the What a Life Tours office, we met owner, Joseph and other staff who were all so lovely. We were introduced to Carlotta, who was to be our tour guide for the afternoon. 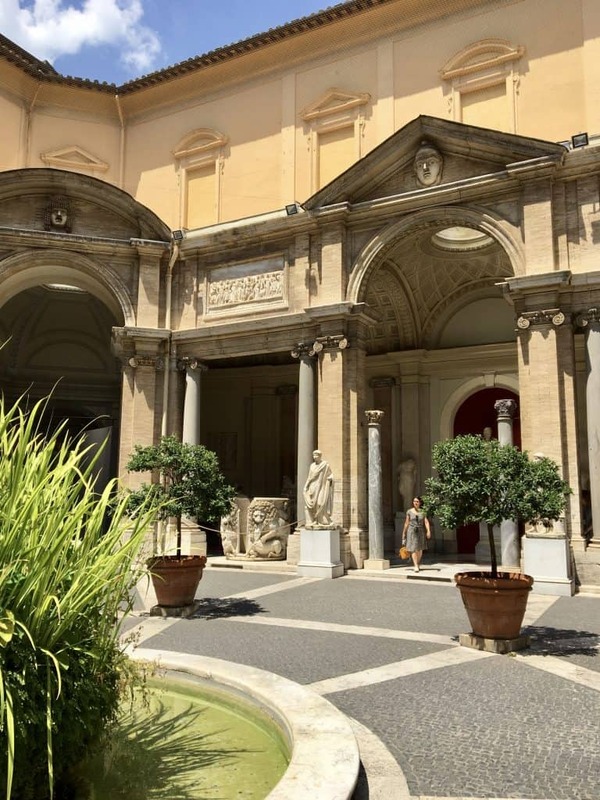 It was a two minute walk to the Vatican Museums entrance. All I can say is thank goodness we didn’t have to stand in any of the queues! And remember those huge tours with a person with a little flag? This is just one of them. I was also extremely happy that Carlotta was there to navigate for us as there was a sea of people in the entry area when we arrived. There is no limit on entrants, so high season can be very crazy inside the museums. 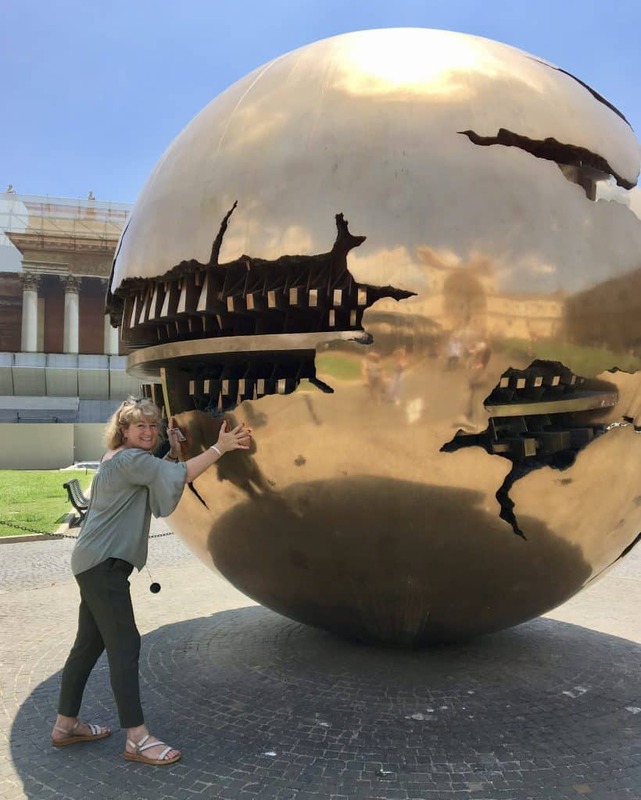 The first place we went was the Vatican Museum courtyard where we saw the Pomodoro sculpture of the globes. 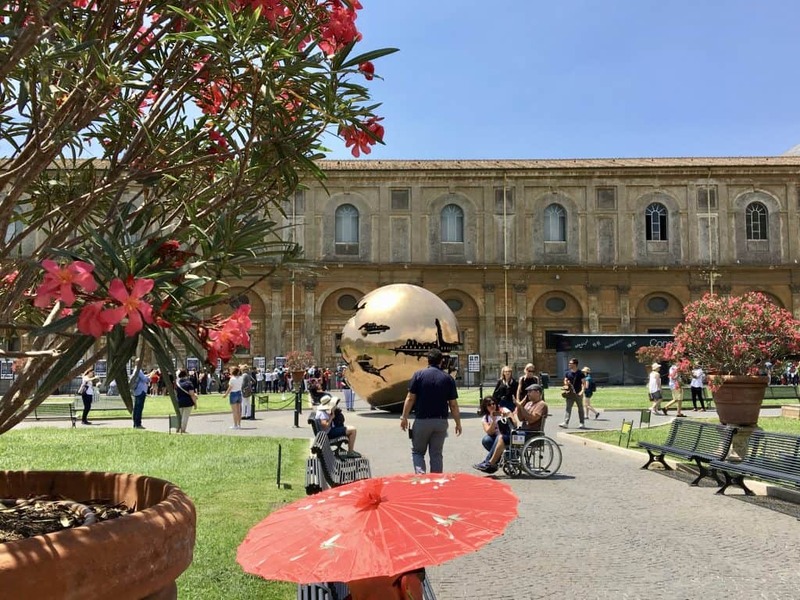 Carlotta explained that the Vatican Museums were created by Pope Julius II in the early 16th century, and gave us a lot of background on how it grew. Soon we were inside the first part of the museums. 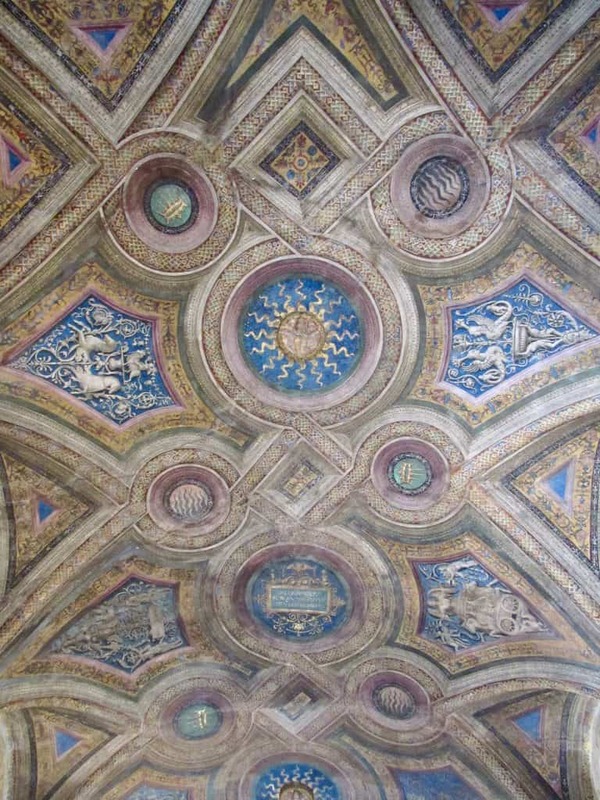 Here, you can see the beautiful ceilings, but also how packed the museum was. There was so much to see, but Carlotta made sure that we didn’t miss the highlights. 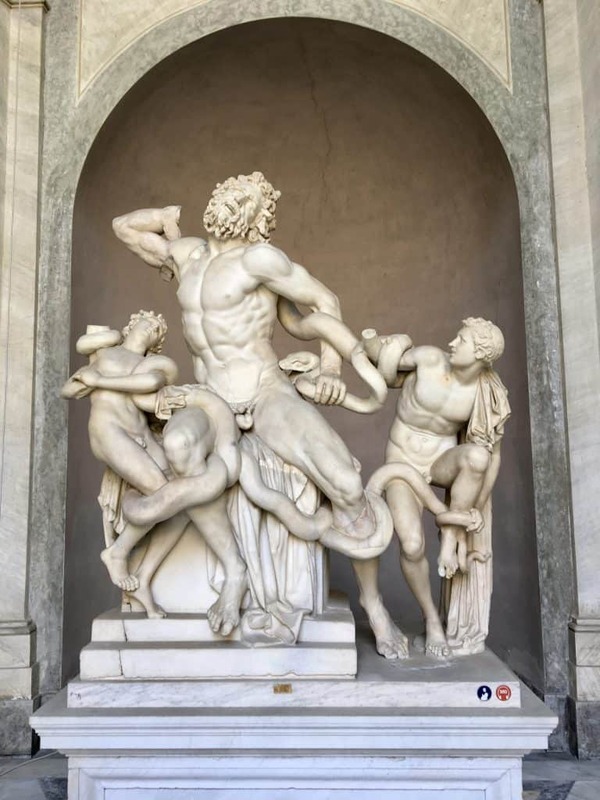 Such as the statue of Laocoön. 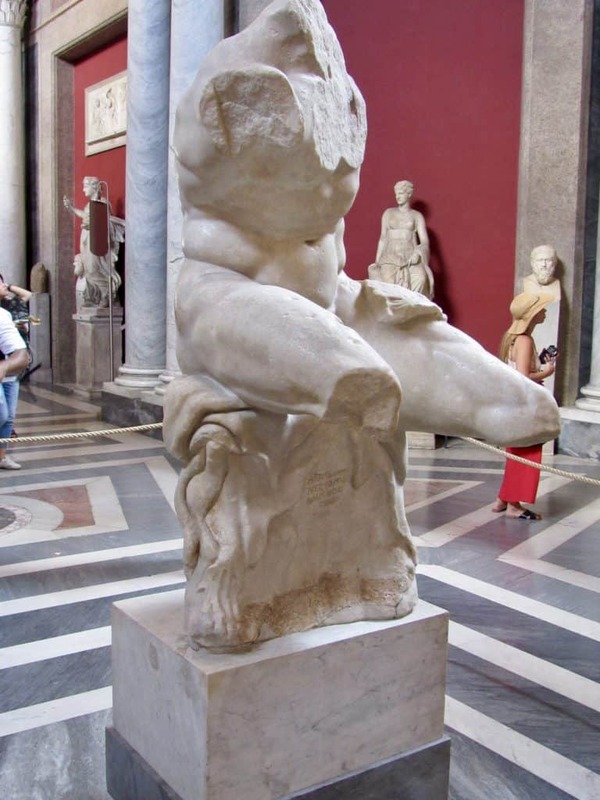 I had no idea it was such an important statue, but the history behind it is fascinating, not to mention the approximate date of its creation: 40-30 BC. And the Belvedere Torso. 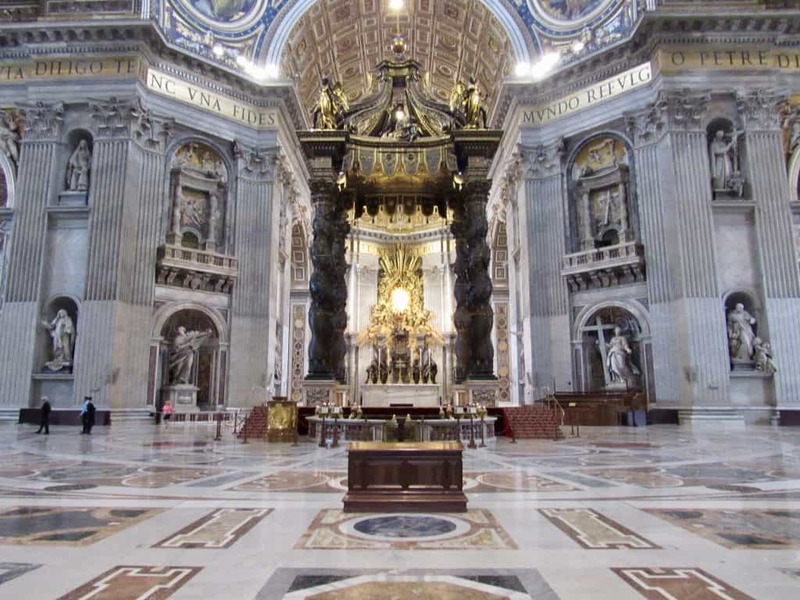 Pope Julius II wanted Michelangelo to complete the statue, but he refused, saying it was too beautiful. Instead he used it as inspiration for other sculptures. The Museums were like a maze, and the rooms and ceilings were mesmerizing. Mum and I didn’t have to worry about looking at a map, or wondering if we were going in the right direction. We could focus on taking in all the amazing artwork. Even then it was overwhelming! 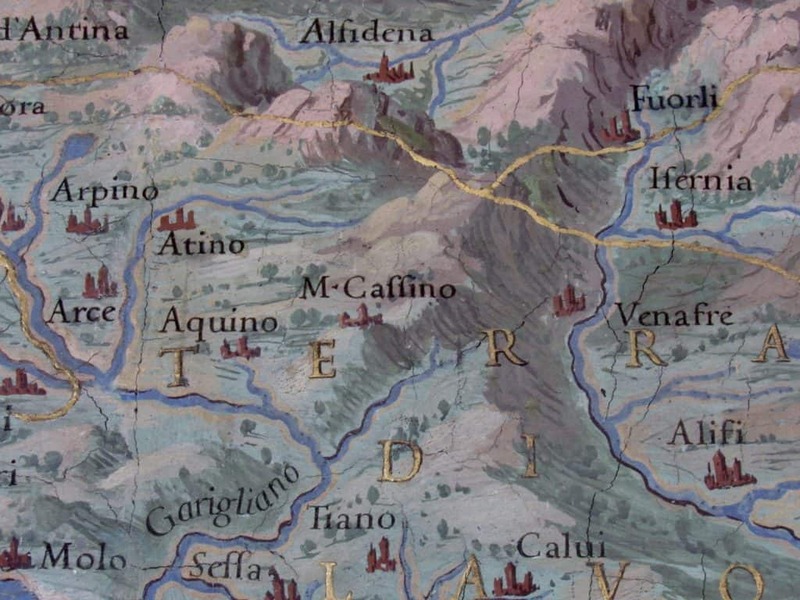 One of my favorite parts was the Gallery of Maps. The work that was put into each map was mind boggling. Actually, I felt this way about everything I saw! We did our best to find the town (Cassino) nearest to where Mum was born, and we found Monte Cassino! 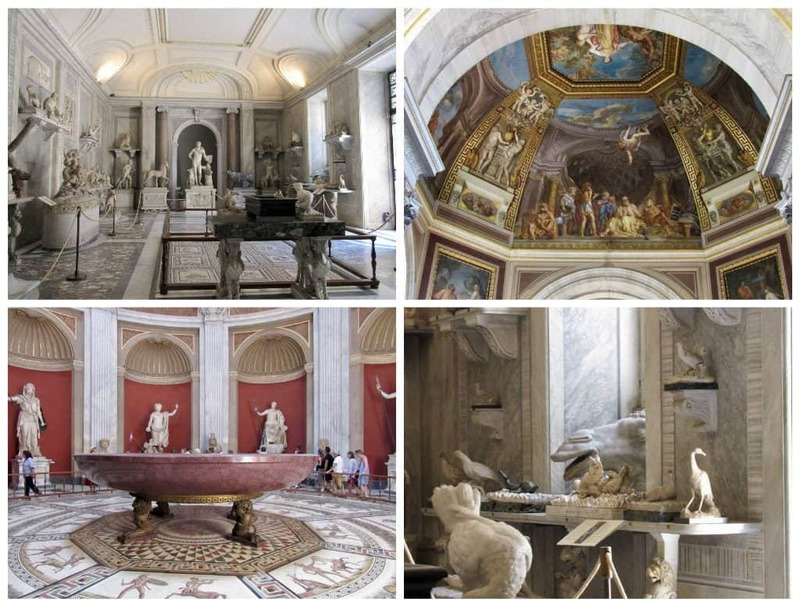 The Raphael rooms were another favorite, but honestly, it was so much to take in! How can someone create so many incredible artworks in one lifetime? 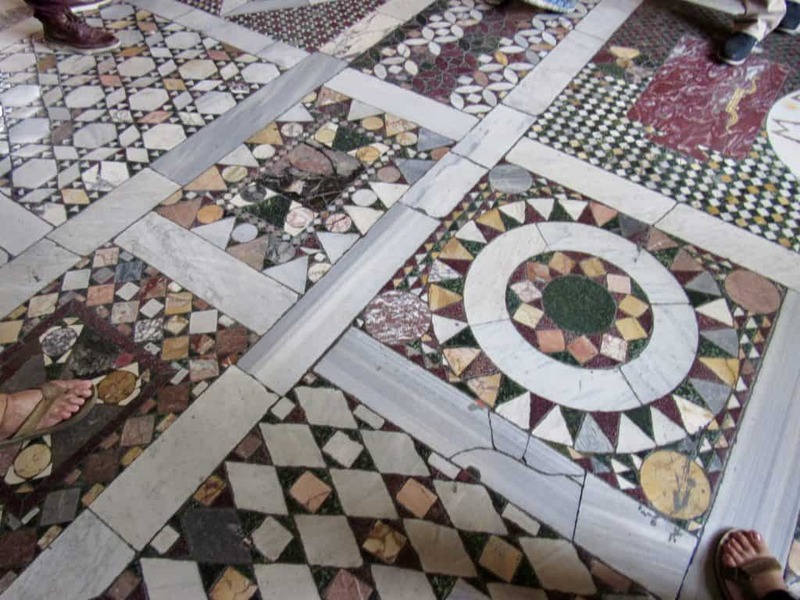 And there weren’t just paintings or frescoes on the walls, but the ceilings were stunning and so were the mosaic floors! Carlotta was great about asking if we needed to sit or take a break. 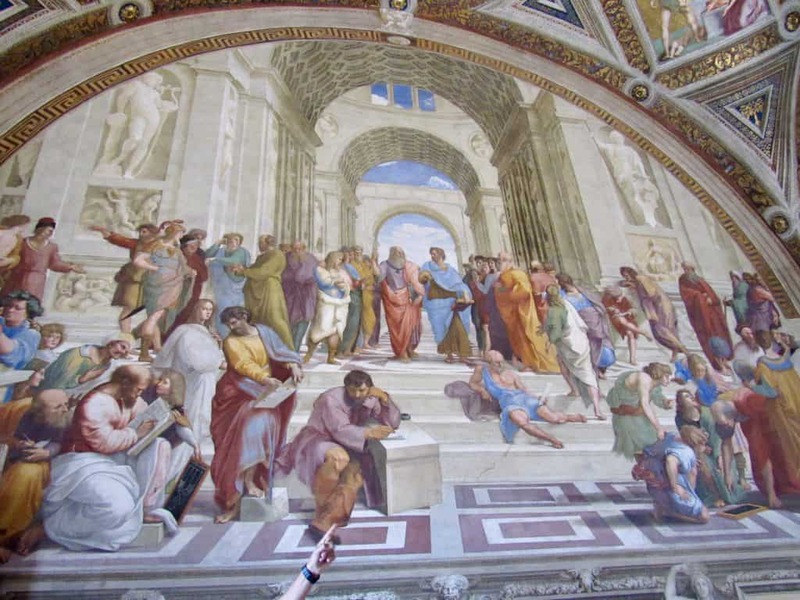 The School of Athens was one of the highlights in the Raphael rooms (Pope Julius II chose these to be his residence and other popes followed suit). I have so many more photos, but suffice it to say, you could spend a month here and still not see everything there is to see! 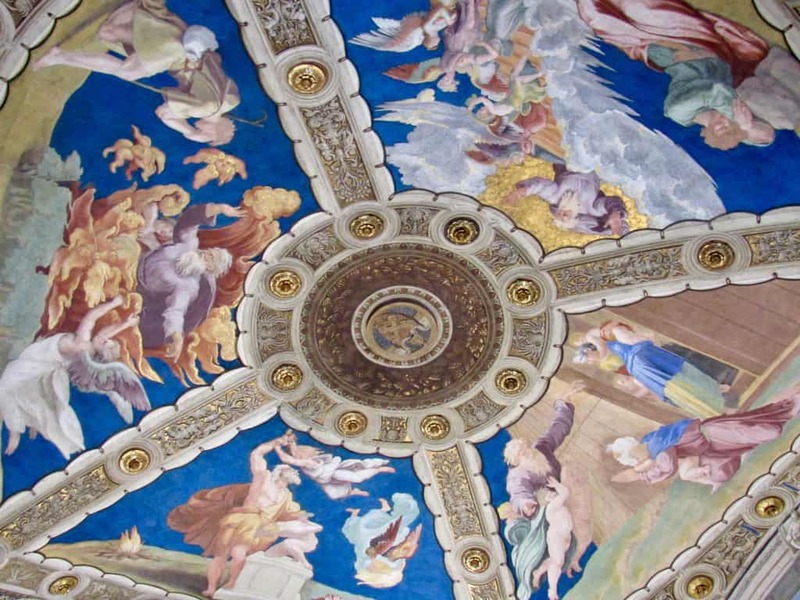 We continued on and saw so many more stupendous ceilings before reaching the most ceiling of all, inside the Sistine Chapel. Here, Carlotta told us she’d wait for us on the other side and to take our time in the chapel. It was truly amazing, but difficult to really concentrate on the beauty because of what was going on in the chapel. 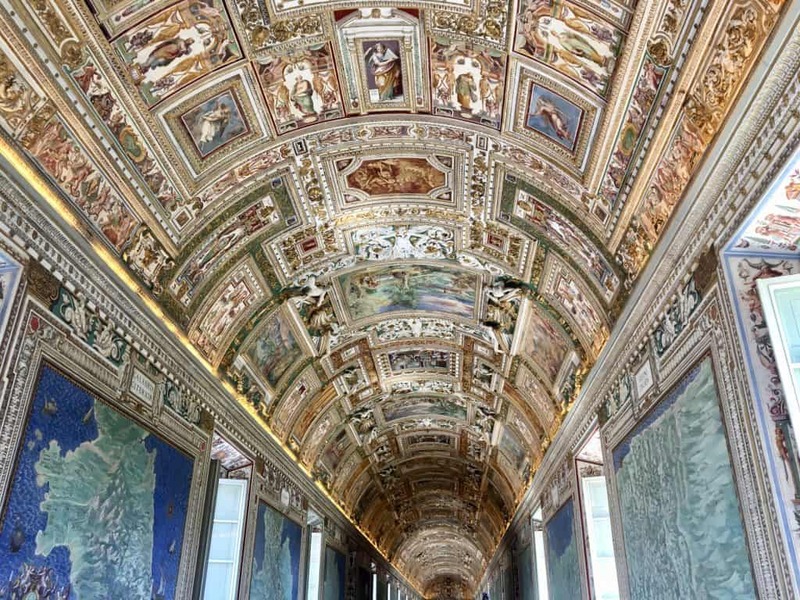 One thing I can suggest is to take the early morning tour with What a Life Tours because the Sistine Chapel was absolutely packed. We had to walk in one direction and the visitors (and guides) were so loud that all we kept hearing were announcements to keep quiet (since it is a church), and not to take photos. 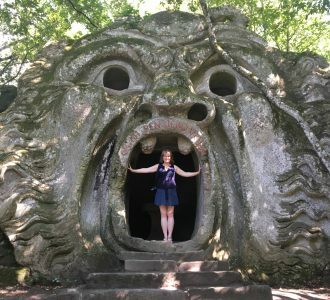 The guide actually complained to a guard standing nearby, telling him that I told her to be quiet, to which he responded, “Ha ragione!” Meaning, “She’s right!” She obviously wasn’t very happy with his response, but I was. You can avoid this scenario by taking this tour. 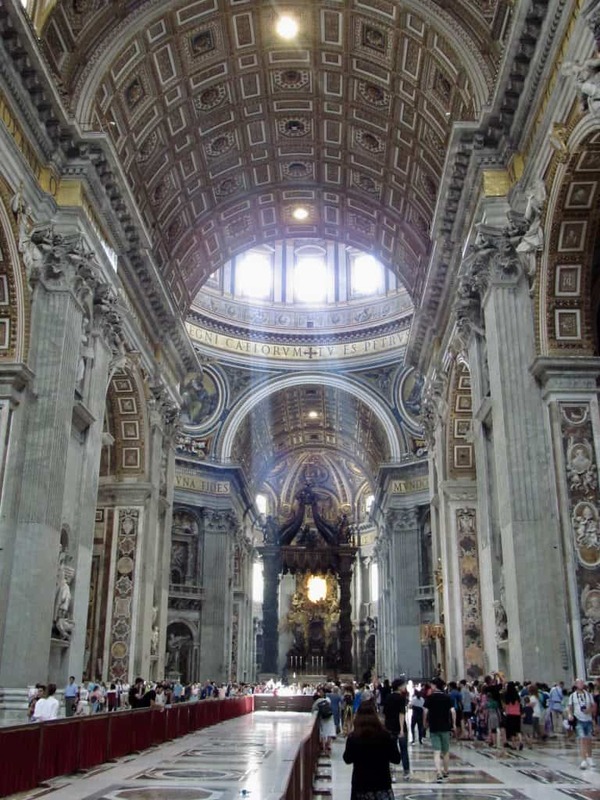 At the end of the Vatican Museums and Sistine Chapel tour, Carlotta took us inside the Basilica of St. Peter. Mum and I have visited many times, even walking up to the cupola in the past, but one can never tire of visiting. 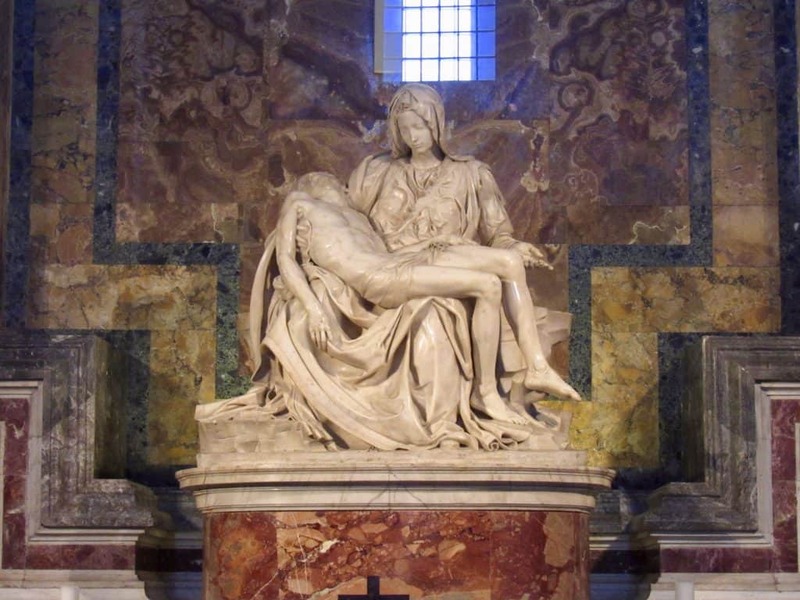 La Pieta, Michelangelo’s only signed sculpture. It’s clearly a place you need to spend some time. The detail in all the different parts of the building itself is incredible, and then there are the sculptures and paintings. It was time to say goodbye to Carlotta. We thanked her profusely for wonderful guided tour and all the information she had given us. It was a fantastic afternoon, and I finally can say that I’ve seen the Sistine Chapel! Thanks to all the wonderful people at What a Life Tours for making this possible. If you don’t believe me, just check out all their great reviews on TripAdvisor (they’re #1). 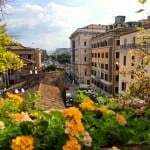 I hope that if you go to Rome, that you’ll choose What a Life Tours! 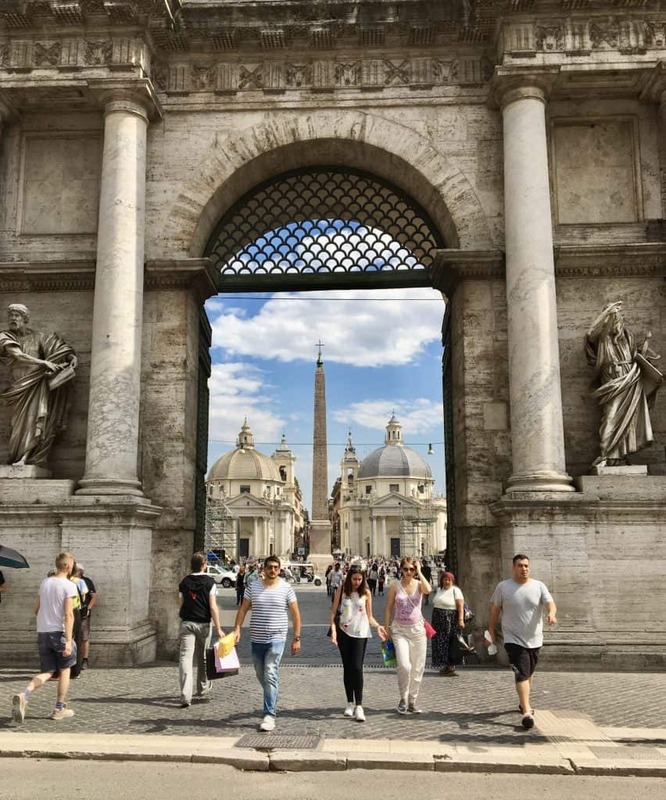 They have so many to choose from within Rome. 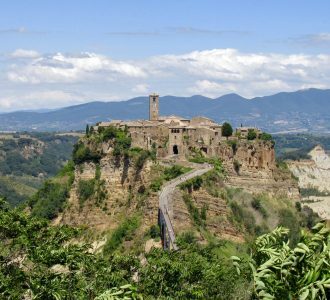 However, they also offer day trips to Pompeii, the Amalfi Coast and Tuscany! You can watch my Instagram story from the tour HERE. 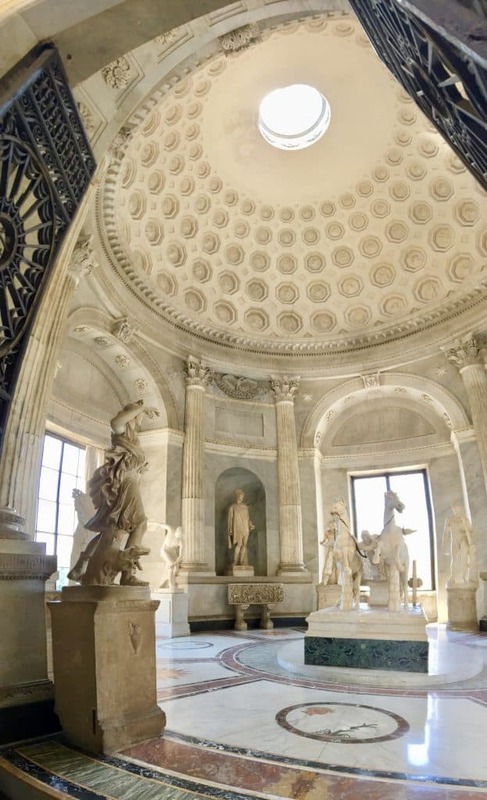 Just for fun, you can take a virtual tour of one of the Raffaele rooms, HERE. 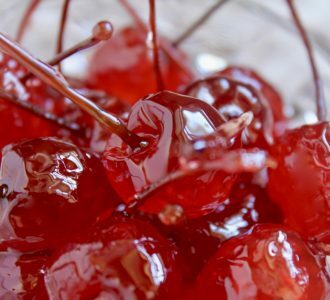 So many wonderful photos in this post, Christina, complimenti! 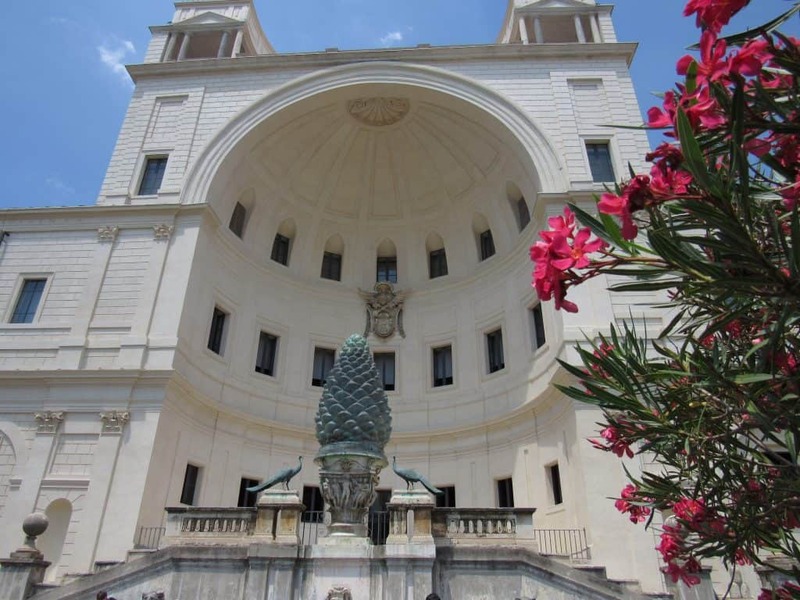 There’s so much beauty in Rome, the Vatican very much included of course. But with all the art on display here, I was actually especially intrigued by that tonnarelli dish cacio e pepe with chicory mixed in, sounds awesome. 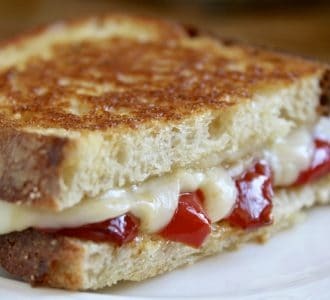 Any hints about the recipe, by any chance? Oh Frank, I can’t tell you how awesome it was! We should have asked at the restaurant, but didn’t even think about it! 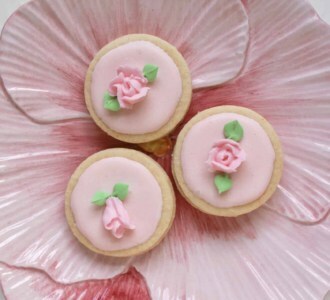 Mum has tried making it once and said it turned out quite well. I think she made a kind of pesto with the cheese pepper and greens (she didn’t have cicoria and used something else). Because cacio e pepe is made so uniquely, I wonder if they make the cacio e pepe and add the blended greens? Haven’t tried it yet, but will be doing so! 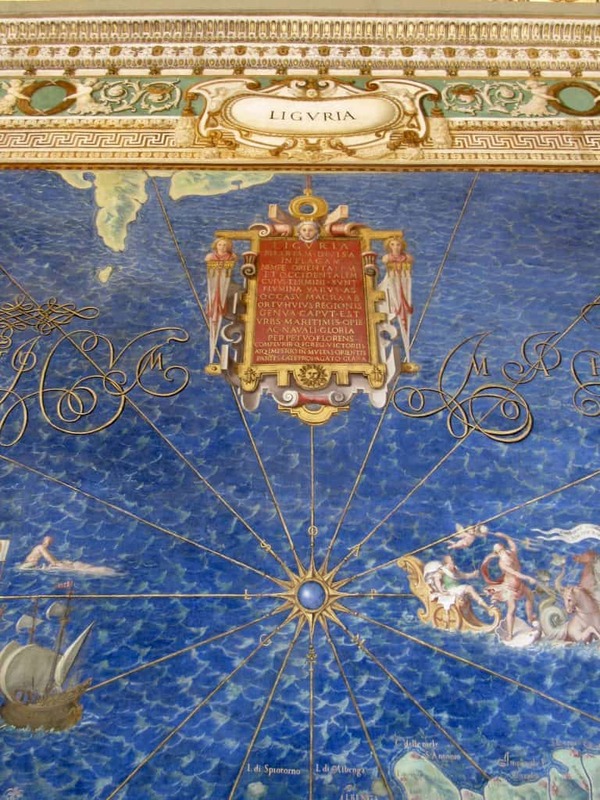 The gallery of maps was my favorite as well. How cool is it that you got to see the Pope and that close as well! What a wonderful review and experience. Your photos are fabulous. Again, I feel like I just toured with you. (Well, okay not exactly, but you know what I mean.) Beautiful! 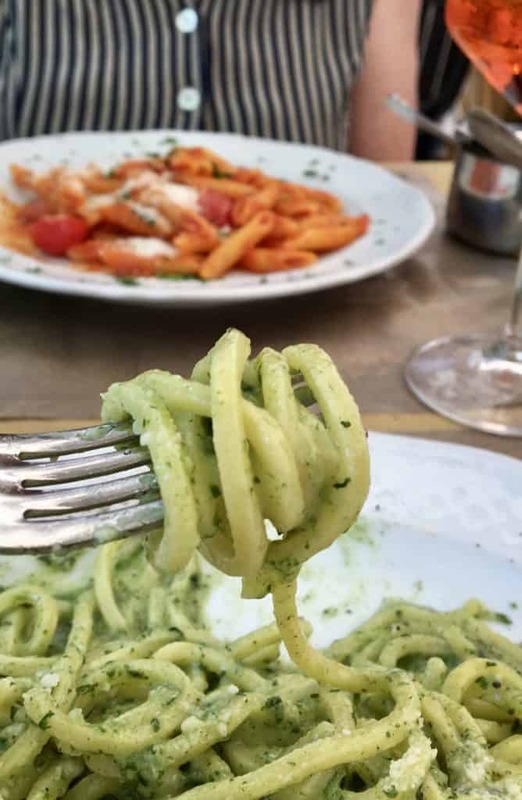 The little restaurant of the beaten path with “Billy” (cute) sounds so quaint and charming — and pastas look delicious! I must get back to Rome! I haven’t been since the 90’s! What a fantastic tour you took us on. I feel as if I’ve just visited Rome. And to seethe Pope as well, wow! He visited here in Sweden in 2016 and we got a glimpse of him but that was all. 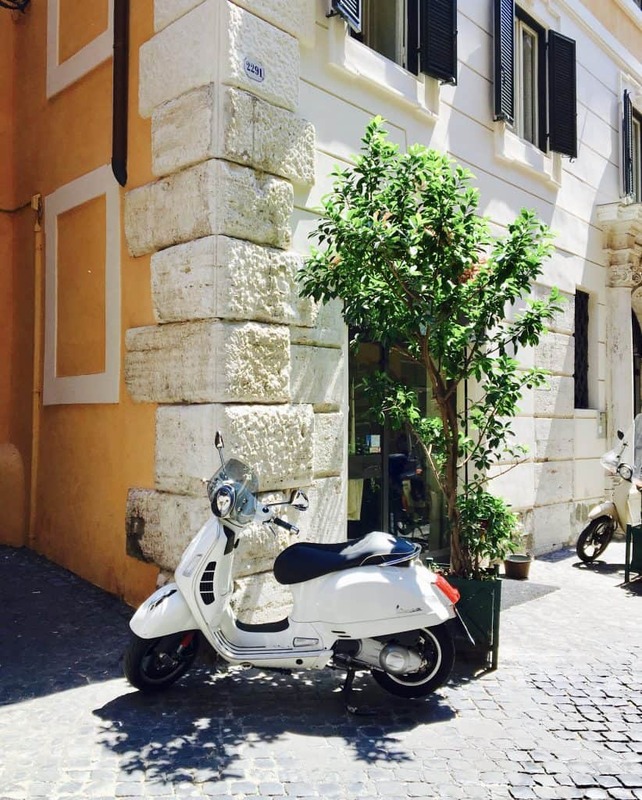 Oh, and your choice of Antica Trattoria Polese looks to of been the perfect Rome lunch. Thanks for sharing. 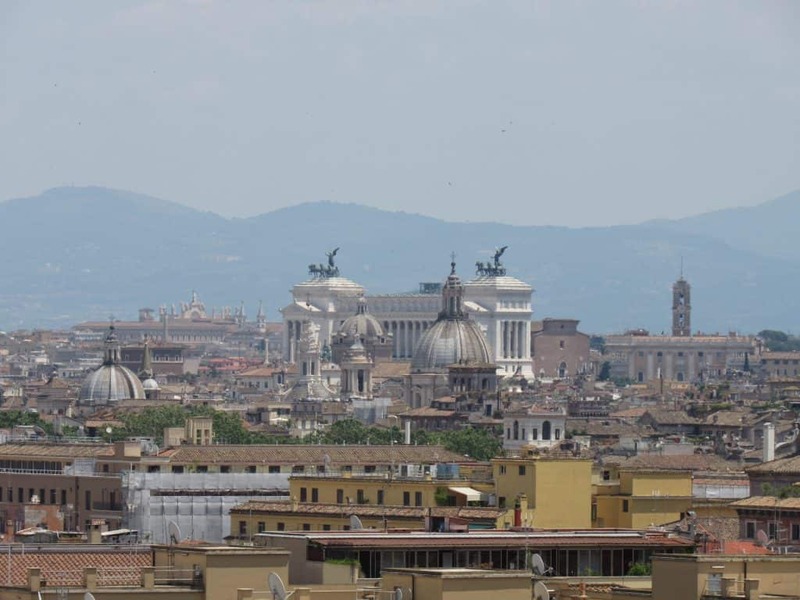 If we ever travel to Rome we will certainly use the tour that you suggested. 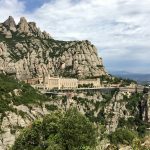 Your photos and descriptions of the places you visited are fantastic! I can easily understand how a person would be overwhelmed by so much beauty. You certainly got good closeup photos of the Pope. I am a big believer in taking guided tours particularly when new to an area. One gains so much better insight and can learn so much more about an area than doing it on one’s own. Of course, the tour company does matter. Thanks for taking us on the tour with you and your Mum. 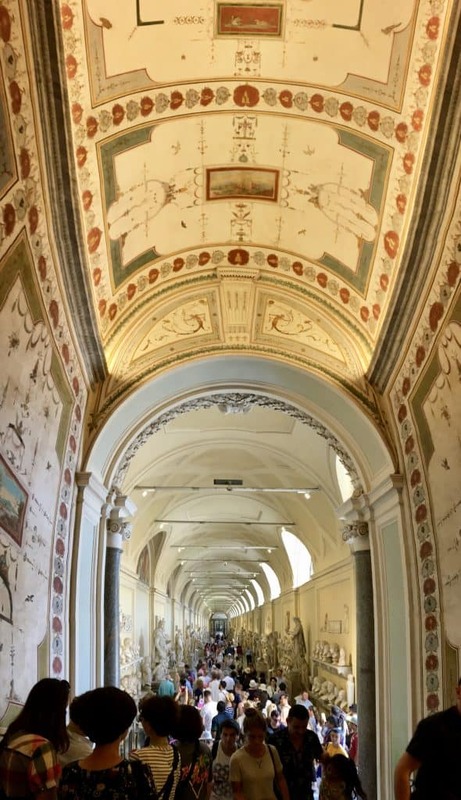 I must say that when we visited the Sistine Chapel a few years ago, it was incredible but yes, doing it on our own without a proper guide and waiting so long in a long queue does make me want to do it all again but properly like this next time. 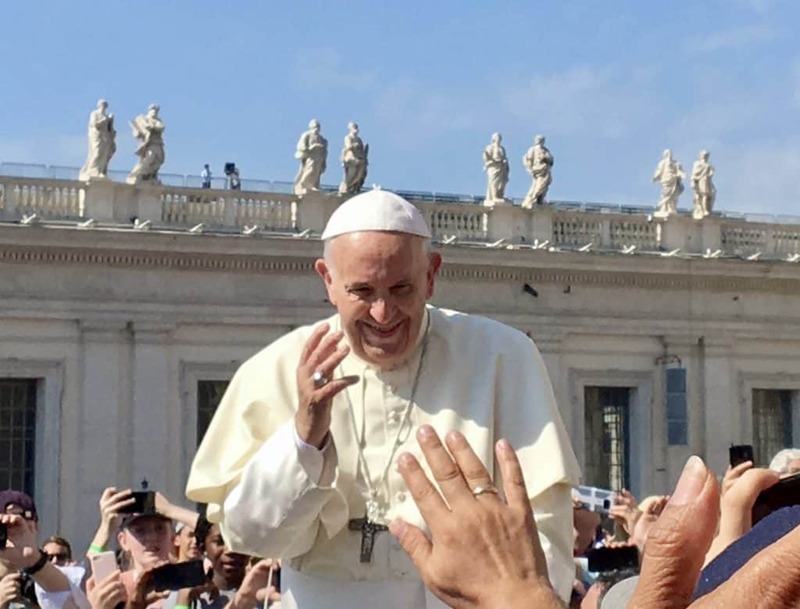 What fabulous photographs and that Pope shot up close is just fabulous, too! It looks like you and your mom had a wonderful tour and the pictures are amazing. What a fortunate encounter with the pope even though you missed your seating time.